"I Am the River, and the River is Me"
The metaphysical reality that the law recognizes is one that remains quite alien to the western mind: “I am the river, and the river is me.” That's how the Iwi express their relationship to the Whanganui; the two are indivisible, an utterly organic whole. The river is not a mere “resource” to be managed. 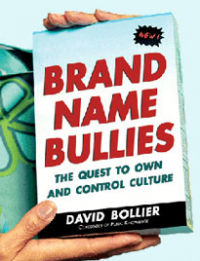 The idea of conferring of a “legal personality” on a river and explicitly guaranteeing its “health and well-being” is a major departure for Western law, needless to say. We westerners have no legal categories for recognizing the intrinsic nature of nonhuman living systems and how we relate to them ontologically. As if to underscore this fact, the practical legal challenges of defining and enforcing the rights of the Whanganui are far from resolved, notwithstanding the creation of a new legal framework. Still, the law is an important start. It settles the historical claims on the river made by indigenous peoples, and it makes nineteen remarkable “acknowledgements” of the Crown’s behavior over the past century. The law even recognizes the “inalienable connection” of the iwi and hapū to the river, and tenders an official apology. 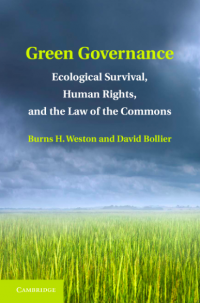 This latest episode in granting rights to nature is nicely summarized in a piece in The Guardian by Ashish Kothari and Shristee Bajpai of the Kalpavriksh Environmental Action Group in India, and Mari Margi of the Community Environmental Legal Defense Fund in the US. 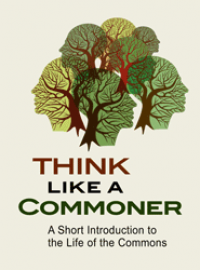 Read more about "I Am the River, and the River is Me"
It is always refreshing to read Peter Linebaugh’s writings on the commons because he brings such rich historical perspectives to bear, revealing the commons as both strangely alien and utterly familiar. With the added kick that the commoning he describes actually happened, Linebaugh’s journeys into the commons leave readers outraged at enclosures of long ago and inspired to protect today's endangered commons. This was my response, in any case, after reading Linebaugh’s latest book, Stop, Thief! 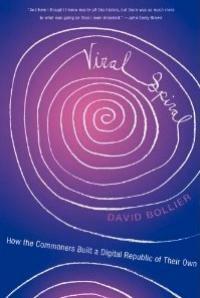 The Commons, Enclosures and Resistance (Spectre/PM Press), which is a collection of fifteen chapters on many different aspects of the commons, mostly from history. 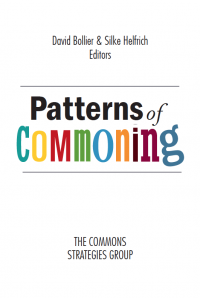 The book starts out on a contemporary note by introducing “some principles of the commons” followed by “a primer on the commons and commoning” and a chapter on urban commoning. For readers new to Linebaugh, he is an historian at the University of Toledo, in Ohio, and the author of such memorable books as The Magna Carta Manifesto and The London Hanged. Stop, Thief! is organized around a series of thematic sections that collect previously published essays and writings by Linebaugh. One section focuses on Karl Marx (“Charles Marks,” as he was recorded in British census records) and another on British enclosures and commoners (Luddites; William Morris; the Magna Carta; “enclosures from the bottom up”). 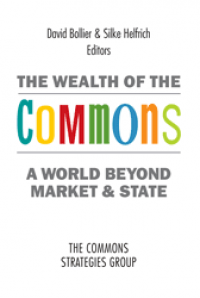 A third section focuses on American commons (Thomas Paine; communism and commons) before concluding with three chapters on First Nations and commons.